Chloe is our Senior Podiatrist who graduated with honours in the UK in 2006 from the University of Huddersfield. She has experience in the public sector but has focused her career in private settings here in Australia since her arrival in 2008. She has worked in Brisbane, Mount Isa, Bundaberg and Perth which has enriched her with a variety of experience. Chloe has special interests in ingrown toenail treatments, foot/lower limb pain and biomechanical abnormalities. 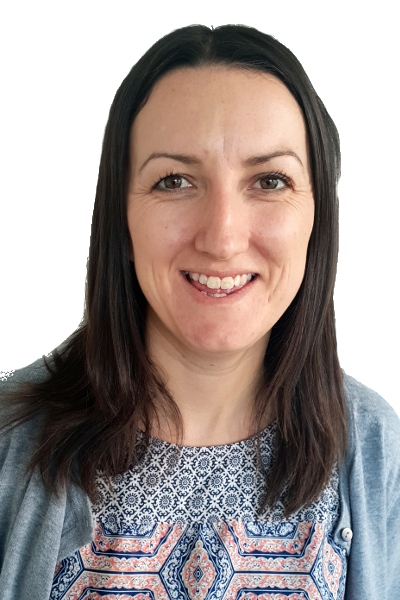 She incorporates dry needling/acupuncture, mobilisations, taping, strengthening, orthotic therapy and footwear advice to achieve the best outcomes for her clients. Chloe enjoys the varied nature of podiatry and is as comfortable removing a corn as she is at fixing heel pain. Working within a multidisciplinary clinic also allows enhanced treatment outcomes for her clients and she enjoys working closely with the physio’s, massage therapists and chiropractors on hand. Away from Podiatry, Chloe is a passionate soccer supporter which she often combines with her other love of travelling. She has recently returned to us from a second spell of maternity leave and when she’s not fixing feet she can be found chasing her two young children around.